For those wanting to learn about flowers and want information fast, consulting an online flower dictionary is a great option. You'll find websites offering varying degrees of information, from basic data to the meanings and symbolism of flowers. 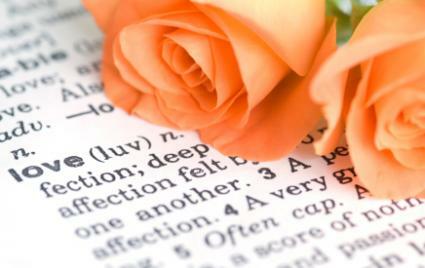 Do You Need a Dictionary for Flowers? Whether you are an amateur plant enthusiast or a florist with a healthy knowledge of the subject, a dictionary of flowers is beneficial. For the beginner, the dictionary can provide rudimentary information to give you a working familiarity with any specific type of flower. As you increase your knowledge, a comprehensive dictionary provides meanings, care instructions of particular flowers (which are handy for florists or gardeners) and histories. Even if you decide you don't need extensive information, just knowing the meanings of flowers is practical knowledge to have, especially if you are buying them for someone. If you just need a quick reference on the meanings or symbolism of a certain flower, visit Pheonix Flower Shop. This alphabetical online flower dictionary lists the flower and the meaning. Also on the site is a section listing the meaning of roses (by color), a listing of state flowers, and various web pages on Orchids, Bonsais and other and plants. Do you or someone you know have an approaching wedding and want to create the perfect bridal bouquet? Visit Perfect Wedding Day for a large list of flowers, their meanings and pictures. The site touches on "florigraphy" or, the study of flower meanings, and some history on flora language as well as making bridal bouquets unique to the bride. Listing popular names on its online flower dictionary, Flower Shop Network includes the following information when you click on the names: the scientific name, history, meaning (including colors), astrology sign of the flower and any special design qualities. You will also find pictures at this dictionary. This Web site is set up like a blog, but contains a lot of information. You may not think about it, but Dictionary.com is a nice resource to use, especially if you know the name of the flower and you just want a description. For example, if you type "rose," you'll get numerous definitions of course; but clicking on the link "rose family" gets you specific information about roses like the description and Latin name. Using a flower dictionary is a great way to learn about flowers, their meanings and their history. By using the one often, you just may find yourself an expert in no time.